I had the immense pleasure of seeing the backstage process behind Osklen’s Spring/Summer 2016 collection a few days ago. It’s like the Aveda team knew I needed all the help I could get deciphering the hair game, so they decided to show me how the hair pros do it. You may know by this point that my hair game usually gets confined to a low pony that’s bent up into an origami-like half-bow in the back. Well, get a load of this: this season’s hair is all about the sunken knot! I got a fuzzy ‘time to jump up and down’ type of feeling as soon as Jennelle Lessard of the Aveda team described the hairstyle. This season’s Osklen collection focuses on the sustainability and strength of the fiercely independent Asháninka tribe that primarily resides in Peru. Oskar Metsavaht specifically weaves a story of a young city girl traveling to visit the tribe and subsequently evolving through the acquisition of new customs. Antoinette Beenders, Aveda Global Creative Director, decided to infuse the hair with real-world practicality by making sure it’s tied back away from the face. After all, if I wound up in the midst of the Asháninka tribespeople, I would most likely pull my hair back to leave my eyes wide open for the exploration. Good call! 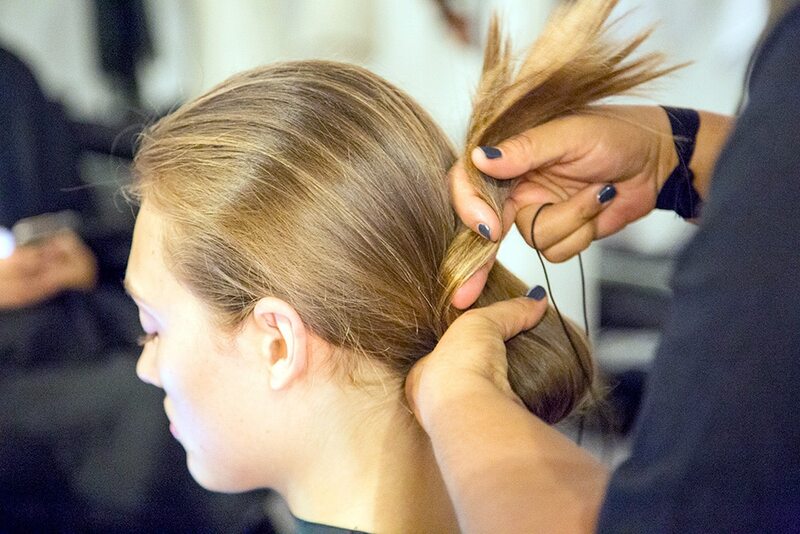 Step 1: Prep hair with Aveda Thickening Tonic and blow dry hair straight. 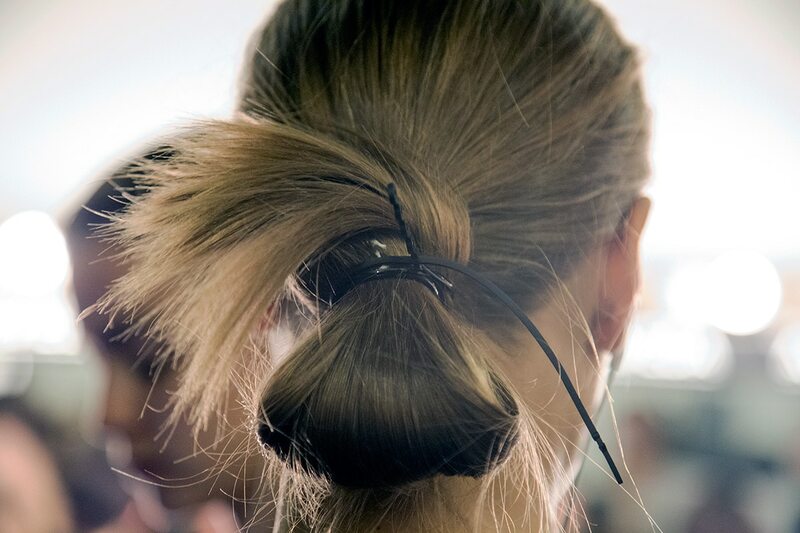 Step 2: Pull hair into a low ponytail at the nape of the neck and secure with an elastic bungee. Step 3: Taking the end of the ponytail, pull hair up and over the base of the pony to make a loop, secure with a second bungee 1” from the end of the ponytail. Step 4: Take the remaining end and loosely loop hair around the base of the pony, leaving hair to fan out the sides and top. Secure with a third bungee. 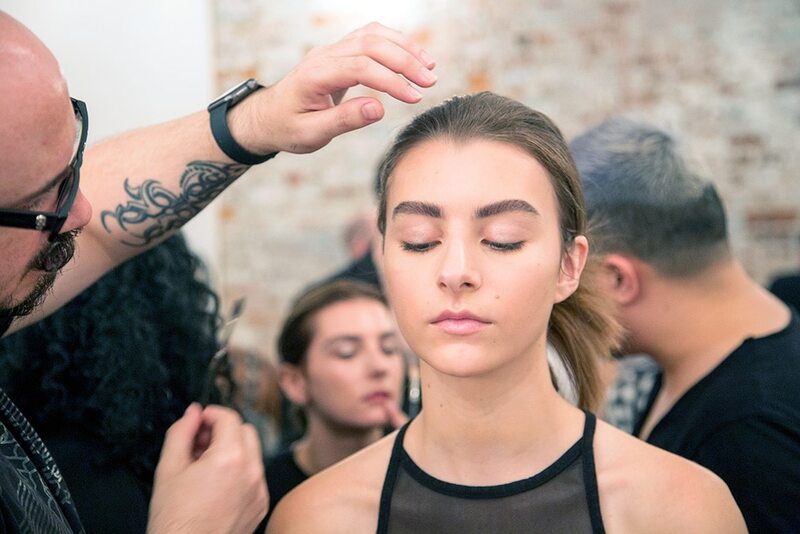 Step 5: Apply new Aveda Shampure™ Dry Shampoo (Available November 1, 2015) on each side of hair to create a matte look and begin to gently massage sides to bring out wispy strands. 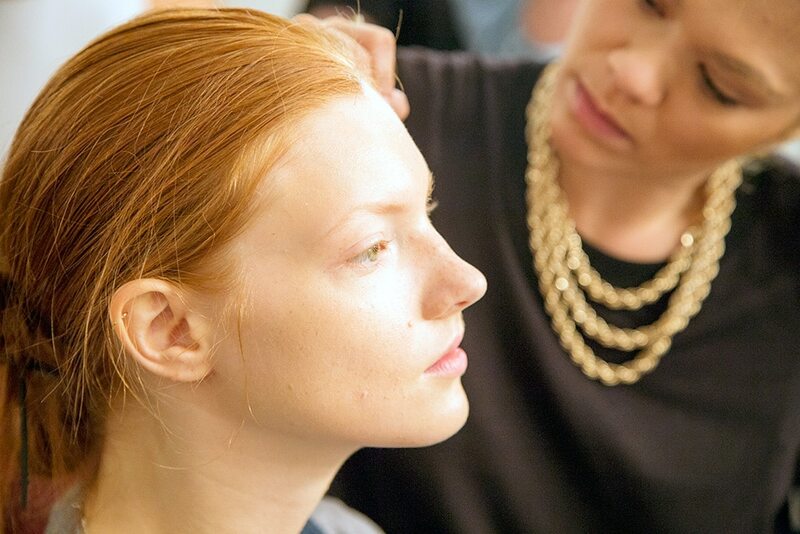 Step 6: Set the look with Aveda Control™ Force Firm Hair Spray. The look is sleek and fresh, with the brows groomed and framing the face. It’s all about highlighting the individual girl’s features rather than using a cookie cutter approach. A light glimmer reflects on the lids and a sheer plum gloss is dabbed on the lips. 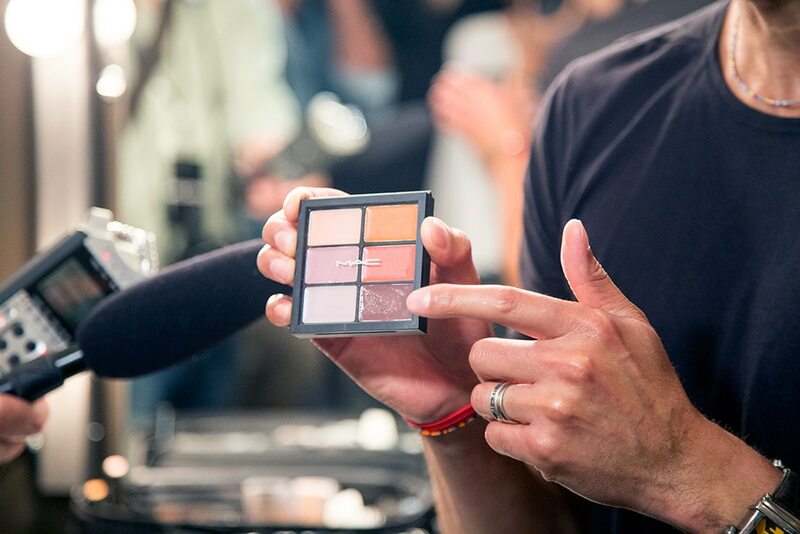 The scene backstage at a fashion show is hectic but extremely energizing. I haven’t participated in the NYFW backstage scene for over a decade, which was when I last modeled. Documenting the scene as a reporter is a completely different ballgame. A thousand things are happening at the same time, all working in unison to unveil the finest production possible. The models are shuffled from hair to makeup to nails. The first hour is the prep where everything is laid out and the first batch of girls takes a seat and the respective hair/makeup artists get to work. The next hour is the run-through. Girls are lined up and a rehearsal takes place before the doors open for the fashionable public. This happens to include Suzy Menkes, Ed Norton, Bruna Tenório and even Pica the Pomeranian Instagram star. A pretty fantastic turnout!